Gaining a clear understanding of the many requirements—and the impact—of the latest health care reform developments can be complicated. 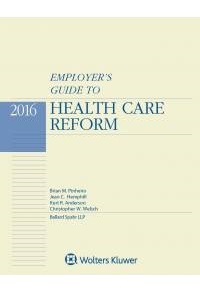 That’s why the experts at Ballard Spahr LLP have prepared the Employer’s Guide to Health Care Reform. To order, please visit wklawbusiness.com/store or call 1-800-638-8437.